An answered prayer for Beatles fans and collectors, the first ­volume of a unique work that exhaustively chronicles all known and ­available Beatles recordings! Way Beyond Compare has the answers to these and thousands of similar questions. It’s the key to unlocking the secrets behind every known Beatles recording in circulation through 1965, telling you where to find them, what makes them unique, and how they fit within the context of the Beatles’ amazing musical and cultural journey. Author John C. Winn has spent twenty years (twice as long as the Beatles were together!) 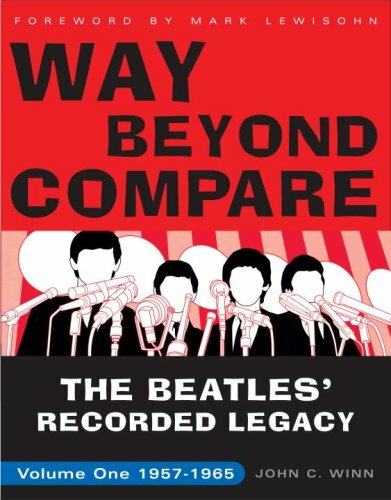 ­sifting through, scrutinizing, organizing, and analyzing hundreds of hours of audio and video recordings—and putting them into a digestible chronological framework for Way Beyond Compare and its companion volume, That Magic Feeling: The Beatles’ Recorded Legacy, Volume Two, 1966–1970.